Draft: 2009, Arizona Diamondbacks, 12th rd. F ull name CHARLES ROBERT BREWER...Single... Attended UCLA and went 12-10 with a 4.88 ERA in three seasons with the Bruins… Earned honorable mention All Pac-10 honors as a sophomore and junior...Spent two summers with the Chatham A's of the Cape Cod League (2007-08)...2006 graduate of Chapparal High School in Scottsdale… Went 33-0 in four seasons at Chaparral and helped the Firebirds to 3 state baseball titles...Named 2006 Arizona Gatorade Player of the Year, Arizona 4-A Region and Student Sports Arizona as a senior...Brother, Connor, was a sophomore back-up quarterback at the University of Arizona in 2014 after starting his collegiate career at Tex as (transferred from UA after 2014)… Brother, Chase, pitched in the D-backs' farm system in 2012...On Twitter @CharlesBrewerAZ...Enjoys golfing and hunting in the offseason. Split the 2014 season between Double-A Mobile and Triple-A Reno, going a combined 11-12 w/ a 4.46 ERA in 29 starts (169.2IP , 182H, 84E R, 48BB, 138K)...He led all Diamondback Minor League pitchers in innings, was second in wins and third in strikeouts...Started the year in Reno and was sent to Mobile from May 24-June 25...W hile with Mobile struck out 13 at Huntsville on June 9 in 6.0IP (1H, 0R, 4BB, 99P )...Up on return to Reno his ERA was 3.63 over the last two months of the season with the Aces (79.1IP , 84H, 32ER). Appeared in 4 games over 2 stints with D-backs and posted a 3.00 ERA (2 ER in 6.0 IP)...3 of 4 outings were scoreless. Made his Major League debut on June 10 @ Dodgers with 1.2 scoreless innings...became the fi rst Arizona born player to make his debut with the D-backs. Was 5-12 with a 4.90 ERA (76 ER in 139.2 IP) in 25 games (22 starts) with Triple-A Reno...ranked eighth in the Pacific Coast League in innings pitched. Totaled a 2.79 ERA (11 ER in 36.2 IP) in his last 6 games. Made 27 starts between Double-A Mobile and Triple-AReno, going 11-7 with a 5.78 ERA (97 ER in 151.0 IP)...Was a non-roster invitee to D-backs spring training...Began the season with the Bay Bears and went 0-0 with a4.15 ERA (8 ER in 17.1 IP) in 3 starts...Was 11-7 with a 5.99 ERA (89 ER in 133.2 IP) and 2complete games in 24 starts with the Aces...Went 1-0 with a 4.76 ERA (6 ER in 11.1 IP) in 2 postseason starts for the Pacific Coast League and Triple-Achampions. Combined to go 5-1 with a 2.44 ERA (15 ER in 55.1IP), 2 complete games and 52 strikeouts in 12 starts with Double-A Mobile and Rookie AZL D-backs...Was 4-0 with a 1.38 ERA (6 ER in 39.0 IP) in his last 8 starts, compared to 1-1 with a 4.96 ERA (9 ER in 16.1 IP) in his first 4...On the disabled list from April 16-May 6 with a concussion and June 3-Aug. 17 with a fractured fifth metacarpal on his right hand...Made 8 starts with Salt River in the Arizona Fall League,going 1-1 with a 5.46 ERA (17 ER in 28.0 IP)...participated in the AFL Rising Stars Game...Entered the season rated by MLB.com as the No. 8 Prospect in the D-backs' organization. Was 11-8 with a 2.45 ERA (41 ER in 150.2 IP) in 27 starts between Single-A South Bend and Single-A Visalia...Tied for ninth among all Single-A pitchers in strikeouts and tied for 11th in games started...Named to Midwest League midseason All-Star Team. Led the organization's short season clubs and the Pioneer League with 7 victories...also tied for fifth in the PL in strikeouts (61)...Was 5-0 with a 1.59 ERA (4 ER in 22.2 IP) in 10 relief appearances and 2-2 with a 3.09 ERA (11 ER in 32.0 IP) in 7 starts. November 7, 2016 RHP Charles Brewer elected free agency. September 30, 2016 Jackson Generals activated RHP Charles Brewer from the 7-day disabled list. May 22, 2016 Charles Brewer roster status changed by Mobile BayBears. May 15, 2016 Mobile BayBears activated RHP Charles Brewer from the 7-day disabled list. May 5, 2016 Mobile BayBears placed RHP Charles Brewer on the 7-day disabled list. May 2, 2016 RHP Charles Brewer assigned to Mobile BayBears. April 26, 2016 Arizona Diamondbacks signed free agent RHP Charles Brewer to a minor league contract. March 31, 2016 Tacoma Rainiers released RHP Charles Brewer. March 31, 2016 Seattle Mariners released RHP Charles Brewer. March 12, 2016 RHP Charles Brewer assigned to Seattle Mariners. February 16, 2016 RHP Charles Brewer assigned to Tacoma Rainiers. February 10, 2016 Seattle Mariners signed free agent RHP Charles Brewer to a minor league contract. November 6, 2015 RHP Charles Brewer elected free agency. September 8, 2015 Akron RubberDucks activated RHP Charles Brewer from the 7-day disabled list. July 28, 2015 Akron RubberDucks placed RHP Charles Brewer on the 7-day disabled list. July 11, 2015 RHP Charles Brewer assigned to Akron RubberDucks from Mahoning Valley Scrappers. June 19, 2015 Mahoning Valley Scrappers placed RHP Charles Brewer on the 7-day disabled list. April 16, 2015 Cleveland Indians signed free agent RHP Charles Brewer to a minor league contract. April 16, 2015 RHP Charles Brewer assigned to Mahoning Valley Scrappers. 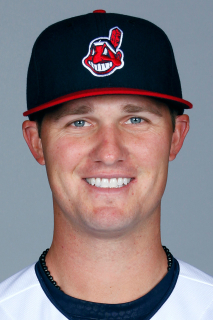 April 12, 2015 Cleveland Indians released RHP Charles Brewer. April 9, 2015 Columbus Clippers placed RHP Charles Brewer on the 7-day disabled list. Right elbow injury. March 17, 2015 Cleveland Indians optioned RHP Charles Brewer to Columbus Clippers. November 23, 2014 Arizona Diamondbacks traded RHP Charles Brewer to Cleveland Indians for cash. November 20, 2014 Arizona Diamondbacks designated RHP Charles Brewer for assignment. September 29, 2014 Arizona Diamondbacks recalled RHP Charles Brewer from Reno Aces. July 2, 2014 RHP Charles Brewer assigned to Reno Aces from Mobile BayBears. May 21, 2014 RHP Charles Brewer assigned to Mobile BayBears from Reno Aces. March 4, 2014 Arizona Diamondbacks optioned RHP Charles Brewer to Reno Aces. September 30, 2013 Arizona Diamondbacks recalled Charles Brewer from Reno Aces. July 9, 2013 Arizona Diamondbacks optioned Charles Brewer to Reno Aces. July 5, 2013 Arizona Diamondbacks recalled Charles Brewer from Reno Aces. June 18, 2013 Arizona Diamondbacks optioned Charles Brewer to Reno Aces. June 10, 2013 Arizona Diamondbacks recalled Charles Brewer from Reno Aces. March 13, 2013 Arizona Diamondbacks optioned Charles Brewer to Reno Aces. November 19, 2012 Arizona Diamondbacks selected the contract of Charles Brewer from Reno Aces. April 22, 2012 Charles Brewer assigned to Reno Aces from Mobile BayBears. January 6, 2012 Arizona Diamondbacks invited non-roster RHP Charles Brewer to spring training. August 17, 2011 Charles Brewer roster status changed by Mobile BayBears. August 14, 2011 sent RHP Charles Brewer on a rehab assignment to AZL D-backs. June 3, 2011 Mobile BayBears placed RHP Charles Brewer on the 7-day disabled list. May 6, 2011 RHP Charles Brewer assigned to Mobile BayBears. April 20, 2011 Mobile BayBears placed RHP Charles Brewer on the 7-day disabled list. April 4, 2011 RHP Charles Brewer assigned to Mobile BayBears from Visalia Rawhide. March 4, 2011 RHP Charles Brewer assigned to Arizona Diamondbacks. June 23, 2010 Charles Brewer assigned to Visalia Rawhide from South Bend Silver Hawks. April 5, 2010 Charles Brewer assigned to South Bend Silver Hawks from Missoula Osprey. June 22, 2009 Charles Brewer assigned to Missoula Osprey from Arizona Diamondbacks. June 20, 2009 Arizona Diamondbacks signed Charles Brewer.